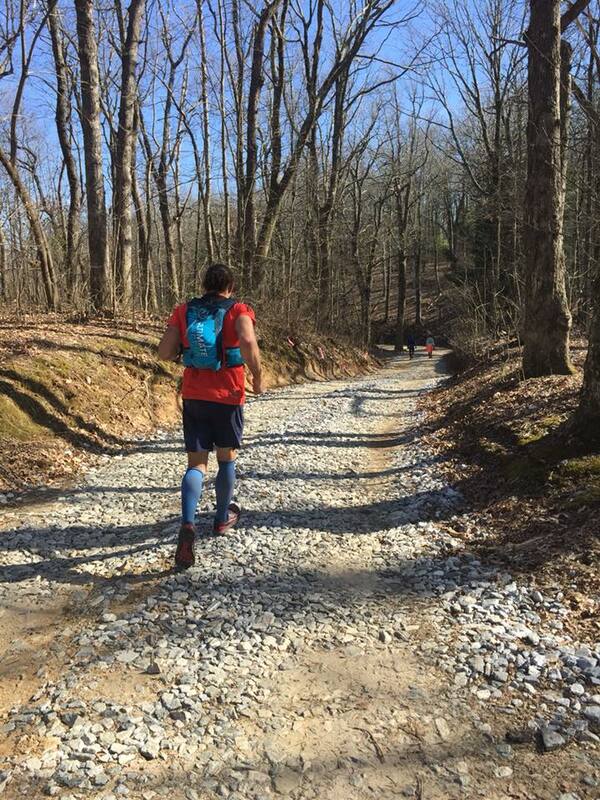 On March 31, 2018, I spent 19hrs and 42 mins running through the mountains of Georgia. After covering some 74 miles and change with somewhere around 18k feet of ascent and 22k feet of descent, I found myself capturing 67th place, not bad for dealing with a ton of issues in my hip, piriformis, and sacrum ever since I was in an ATV that rolled over during the 2014 New Jersey Spartan Race Hurricane Heat 12 Hour event I was directing. You see, my body has never been the same since, but over the past four years, I have finally found ways to manage the injury in ways that enable me to continue to race. To manage the pain. To carry-on. With running, with biking, with climbing, I have finally found a way to handle the pain and the primary remedy, is a consistent spread of hot yoga, including vinyasa, hatha, and yin three to four times per week. That combined with my elaborate collection of recovery tools has helped me to train for events like this 74+ miles Death Race and continues to allow me to take on races like the Mojave Death Race. As far as training went, I spent most of my days training for this race; I wanted to be as prepared for this as I had ever been for any race. Ever since that injury in 2014, I racked up a handful of DNFs, and I didn’t want to have another. I wanted to finish this thing, one and done. It was my primary focus, and with this race in my sights, I got hyper-focused. Running the hills of Redmond, WA right in my backyard, I was able to train for all the elevation touted, taking my weekends to the mountains and hammering up and down these majestic places a mere 40 minutes from my home, was perfect. 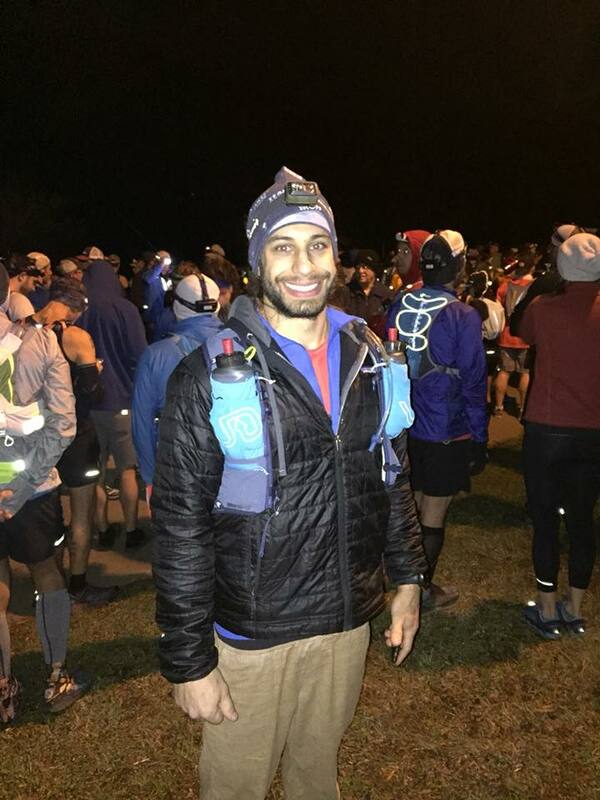 If you’re curious what my training looked like leading up to and for a bit of time after the Georgia Death Race you can take a look at the exact tracking sheet I used here. 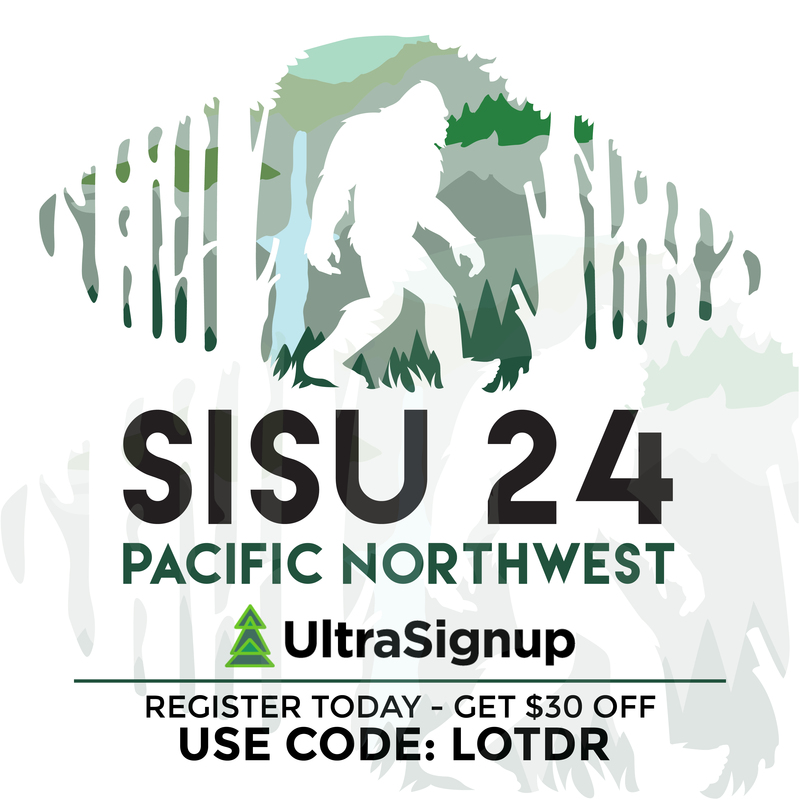 Going into this race, I was a little worried because the 40k feet of elevation change promoted in the marketing materials and on the race’s website should be quite the challenge. Not to mention that fact that this race did carry the title of “Death Race” which to me, means it’s gotta be among the top sufferfests out there. How can you call it a Death Race otherwise? You can imagine my surprise when I learned just how spoiled you are at these ultra-marathon type races. There were aid stations every 6-10 miles with one gap of 13 miles which wasn’t that bad in the grand scheme of things. Support crew for all racers was only allowed at the mile 20-something aid station, the 46ish mile aid station, as well as the start and finish line. It wasn’t the most comforting thing, but I figured I’ve self-supported myself through much more intense conditions. During the event, I came to discover that this was an entirely different “Death Race,” at this one, you would come into an aid station and the race volunteers would spoil you rotten. “What do you want? Pickles, Cookies, Coca-cola?” It was crazy I’d come into an aid station, and immediately a volunteer would grab my Ultimate Direction Ultra Mountain Vest 4.0, they’d refill my water, and they would always ask if I needed anything added to my water bottles or my hydration pack. It was amazing the amount of support you’d received from these complete strangers. I loved every single one of them. I was utterly taken aback at one of the aid stations when I was offered bacon, avocado with salt, allowing me to stay keto, at least until I was offered a pretzel with chocolate and a marshmallow along with a Yuengling beer to wash it all down. After that, all this keto nonsense was off. Around 30 something miles into the race I was tired of trying to stay in ketosis, there were just too many goodies on the course and the food I brought no longer seemed as appetizing. I started to eat all the carbs and all the sugar. Keto be damned! At the next aid station somewhere around mile 37 or so, I enjoyed some chocolate chip cookies; they were so damn good. Having deprived myself of all these kinds of treats for months as part of my keto for endurance experiment, I was overcome with joy to taste all these delicious treats. Somewhere around this point of the race, I met two racers, Heather and Patrick, having some good people to hang out with definitely helped get through some of these challenging grinds on the long fire roads. 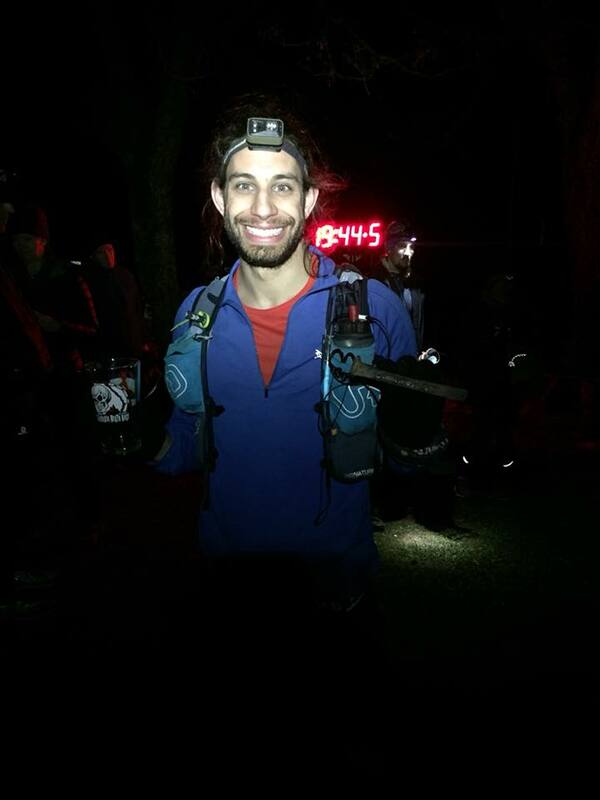 At mile 46 I entered one of my favorite aid stations, this is where I could finally see Andi Hardy of Wired 4 Life. She was my dedicated crew for this event, and she was so selfless this weekend, dedicated her entire weekend to taking care of me, providing me with a place to stay, getting me to the start line, helping me at the 21-mile aid station, and again here at mile 46. About 10 miles back I had called her and asked her to find me some Mountain Dew, my secret weapon from the 2014 Death Race. I knew having this would give me all the oomph I’d need to get through the next 28 miles or so. Later I would find out how much Andi did just to find that 8oz can of Mountain Dew. She was over 2 hours away from civilization at this aid station, so she searched and found some delightful human being who was willing to help Andi to help me out, once he knew it was for a racer, he was happy to part with his last can. Bless your soul kind human; you gave me the rocket fuel I needed. 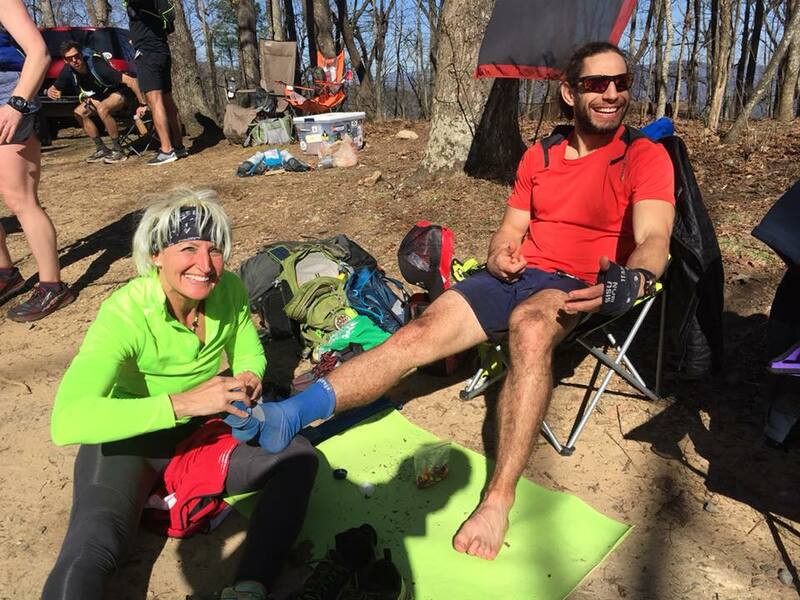 When I came into that aid station Andi took such great care of me; she fed me all the right things, she helped me change my socks and reapply all the Trail Toes I’d need to keep my feet pristine and blister free. I love you to the moon and back, Andi, you’re seriously the best crew member anyone could ever ask to have at their side. Even though it was it my most extended break out of all the aid station stops, I spent only 10 minutes or so there but it felt like it was over in an instant. Every other aid station stop I tried to keep under five minutes tops. At this one, I had called Andi while I was running up a mountain and her if she could track down some Mountain Dew for me. Somehow she managed to find a small 8oz can for me. At this aid station, we took the time to swap out my shoes and socks and reapply Trail Toes to all the vital spots. After having a few minutes to rest, eating some Skittles and enjoying that delicious Mountain Dew, I took off down the mountain, knowing that we had crossed climbed more than half the total gain this course would cover. The next stretch was all downhill, I took off like a bat out of hell and started running 7-minutes splits for the next 5 miles or so. The rush of energy I experienced was utterly incredible. The shock of having all that sugar in my system was completely positive; I didn’t experience any adverse effects. I attribute this to adding a bi-weekly carb cycle to my keto diet. Doing this helped my body avoid any adverse effects from the re-introduction of carbs and sugars to my diet mid-race and instead, it acted as fuel that carried me through to the finish. Well, almost. Around mile 57 or so we hit a section where we had to pound the pavement, and I nearly came to a halt. The asphalt would last 2-3 miles and would slow my fast pace to a crawl. Not a literal crawl, but I was walking. Slowly and steadily with each step. My shins were pretty sore, and the density of the pavement proved to be my nemesis. I literally can’t take it. There’s a reason I stick to races in the mountains, ideally so I can avoid surfaces like this. So as I sulked at my slowed speed, I dug into some goodies, including some trail mix and Vermont beef sticks. 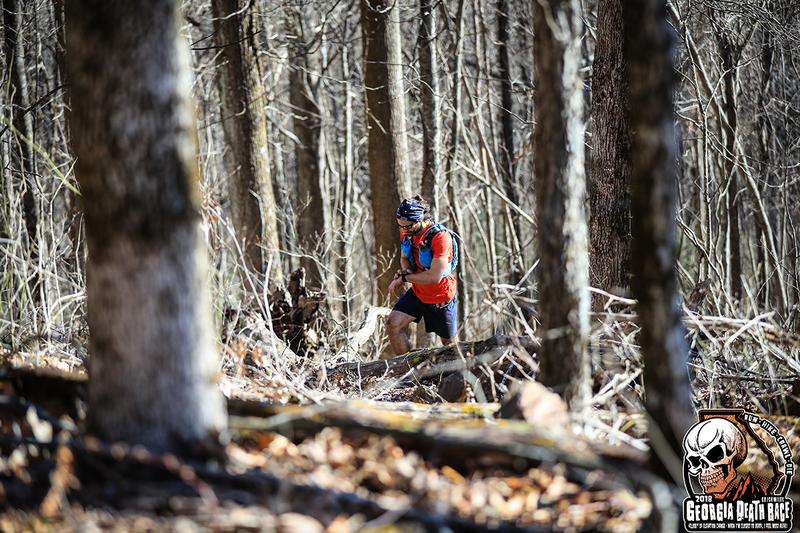 As I approached the gravel fire road once again I tried to get myself moving again, but it was difficult to run as fast as I wanted, so I hung out at a slow pace that was maintainable and would still allow me to finish well before the cutoff. During entire race, I was able to monitor my pace and heart rate thanks to the Suunto Spartan Ultra watch and heart rate monitor I wore on my chest. Using heart rate training for the past few months, this allowed me to take all that training and put it into practice. My heart rate was lower than it needed to be, but I didn’t want to hurt myself, so I just shuffled along until I found myself back on a gravel fire road. Thankfully, it was around that point when I met David from Indiana, about a quarter mile into finding myself back on the softer surface of the fire road. Having David there by my side for the last 15-20 miles really helped me through the tougher moments. We looked out for each other and kept each other in check as we navigated the course under the dark of the night. Every step we took became more and more sketchy as the trail progressed. The sickest part about this race was when we came down the mountain into a parking lot that was adjacent to the finish line. It was a massive tease. They brought you right be the finish line and then made you turn right away from the finish off in another direction for the last 3 miles of running which included a climb up 600 stairs. The silver lining was the magnificent waterfall that dimly lit by the moonlight which we climbed alongside. After that wicked hard climb, we reached the final switchbacks that brought us back toward the finish. These were gnarly and entirely infested with roots. As much as I wanted to speed my way to the finish, I wanted to hang with David. It wasn’t worth risking injury just moments before the finish. Some 74 miles and change later I found myself crossing a river and making it to the finish line feeling better than I’ve ever felt at any finish, ever. Was it the keto diet, was it the training? It didn’t matter; I made it, I felt great. I was allowed to swap the railroad spike I had carried with me the entire way for an engraved one with the words “Georgia Death Race” a sign I was a finisher. At the finish with my spike! The truth is, at a race like this, it takes a lot for an athlete to have the courage to start, the power to carry through, and the wisdom of how they’ll do the thing, but without the support of all the incredible volunteers at all the aid stations and my fantastic crew member, Andi Hardy, it would have been infinitely more challenging to conquer. Thanks to these incredible individuals who give so much to those of us racing, they helped make this race feel like just another run through the woods. It was the most pleasant experience I’ve ever had. Southern hospitality, you’re unlike any other. Thank you for an experience that I can love and cherish, forever. David and I drinking our Finisher beers! P.S. 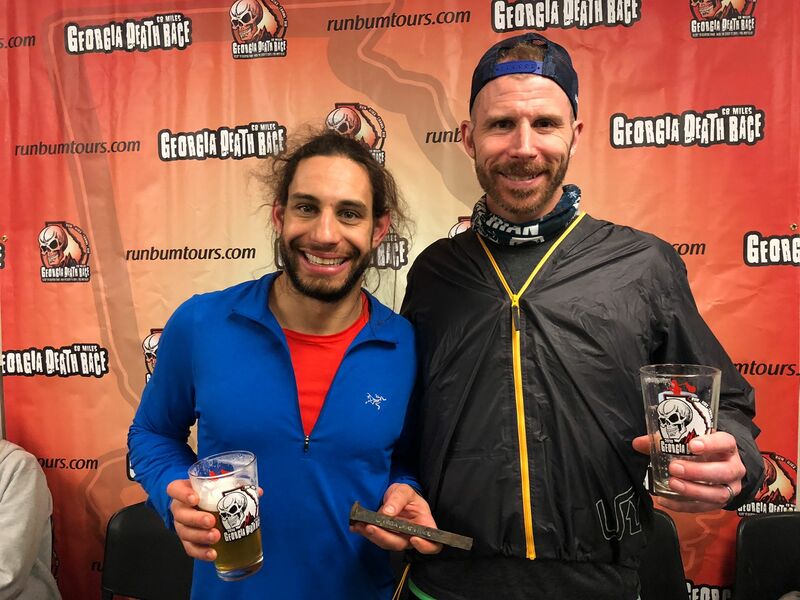 Here’s a post-race message from Georgia Death Race, Race Director, Sean “Run Bum” Blanton. Georgia Death Race by the numbers this year. This means more volunteers than finishers! Muhahaha!